Encryption, archiving of documents, preparing regular backups of customer data in the secure, customer information on the sensibility of its data and processing to provide sensitive data (encryption, backup, media, archive sensitive documents offshore). 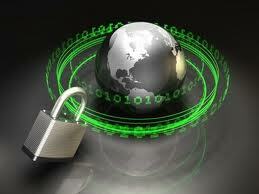 Work closely with your web developers to check the security of your sales platform. Archiving of sensitive offshore documents. Establishment of collaborative, secure working tools. The target audience: managers and employees. Audit requirements in terms of computer organization (ITIL v.3 certified team). Safety audits and implementation of solutions. Assistance of our customers over the time, penetration testing, review of security assistance 24/7. Moving for training on request, we are also authorized in France to provide training (possible funding by agencies). Audit of local installation (home office). Sale of computer equipment or preconfigured on telephone to work completely secure. Demonstrated experience on large download platforms.